SE TENSA LA RELACIÒN ENTRE DOCENTES Y EL GOBIERNO. LÒPEZ, GIMÈNEZ Y UN FLACO ACUERDO SALARIAL PARA 2019. 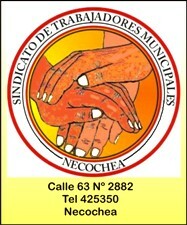 EL SALUDO A LOS TRABAJADORES DE U.T.E.DyC.